I took the usual before and after pictures and the difference is very noticeable! So what's the mysterious accessory? Tada da da! 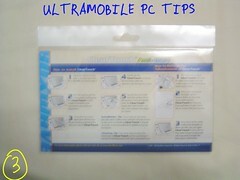 The Boxwave Antiglare Screen Protector for TabletKiosk eo v7110. 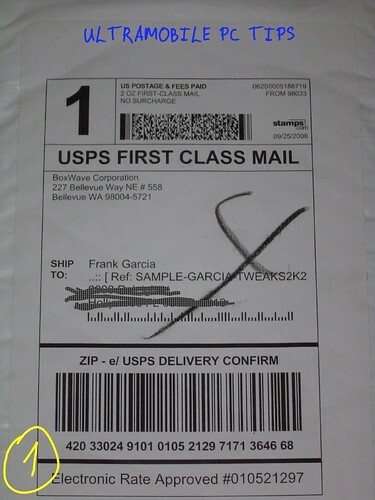 I always have considered a screen protector a "must have" accessory and at the same time one of the most difficult for me to install even when BoxWave includes a very comprehensive instructions in the back of the package. 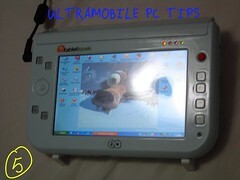 The screen protector specially cut to fit the size of the UMPC screen. I bought in ebay a screen protector for 3 dollars and it was like 2 millimeters smaller than the eo screen and as a result there was a gap between the protector and the body of the eo and it was very annoying when I was scrolling pages and the stylus got into that gap. This screen protector fits perfectly. 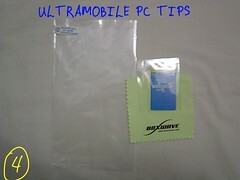 A small card needed to get the air out between the screen and the protector. Tip: Better use a Credit Card! 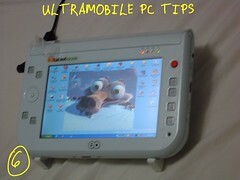 2.-The surface of eo screen, or any other UMPC, is very skids. This screen protector adds a different texture to the screen that feels more like paper. I have found that this new texture has improved a lote my handwriting. These two points plus the fact that now my eo screen is protected against scratches made by particles of dust or sand falling between the screen and the stylus is what make me recommend this accessory from BoxWave to every UMPC owner. 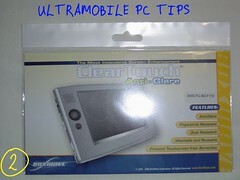 The BoxWave Antiglare Screen Protector is a really "Must Have". Hello, thanks for the review. Do you know if these for the V7110 are the same size as for the i7210? I really don't know. But it seems to me that all of them use about the same screen. "...At this time we do not have the docking cradle avaialbe - we hope to have port replicator device by end of month - no immediate release date for the Docking cradle yet avaiable...".